Do These Symptoms Mean Am I Pregnant? Your symptoms can help you decide. Have you missed your period? Are you bloated? Maybe your breasts are sore? Or perhaps, you simply have a feeling? While these are all possible signs and symptoms of pregnancy, they may not add up to a positive pregnancy test. This quiz is designed with possible and probable symptoms of pregnancy in mind. While it can't tell you for sure that you are pregnant, the higher your score on the quiz, the more likely you are to be pregnant. Then you can know to take a pregnancy test or to see your doctor or midwife. So if you have the question of pregnancy in your mind, reading on can help you make the decision about the next step. So if you get a high score, chances are good that you are pregnant. You should make an appointment to see your doctor or midwife. If you scored lower, then consider retesting with an at home pregnancy test in seven days if you haven't started your period. If you are still getting unexpected results you should also see your health care provider for advice. What do you do if the test is positive? The next step should be to contact the midwife or obstetrician of your choice. This may be someone that you already have a relationship with, say for gynecologic exams, or it may be someone completely different. You may need to talk to your insurance first. They may have a list of providers or have other requirements before you can be seen. You will want to start this process right away so that you know where to go with your questions. 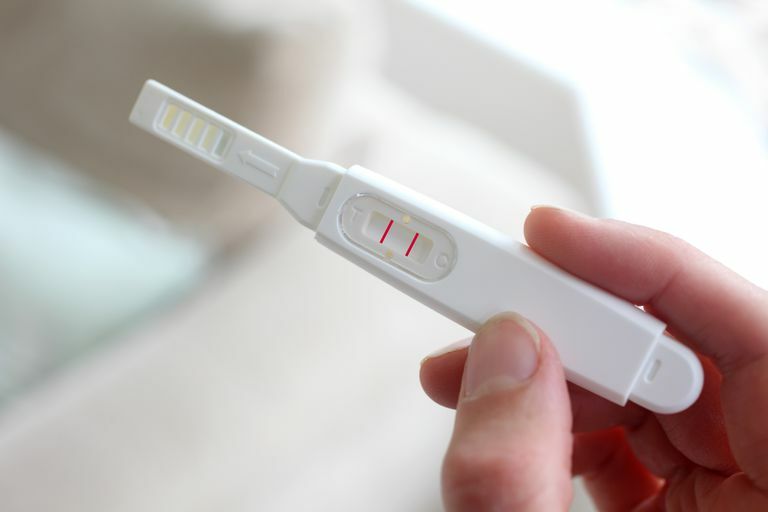 If the test is negative, you may be relieved that you aren't pregnant. But you may also be sad. If you were expecting the test to be positive and you have not yet started your period, it may have simply been too early to test. You should consider waiting before taking another test. Most test product inserts will advise that you wait a week to retest. That said, I know how hard it can be to wait seven whole days to retest. Consider waiting at least forty-eight hours before you retest, failure to do so may result in a test being too early. Remember that your hCG level about doubles every two days in early pregnancy, meaning two days is a large difference in hormone levels. Either way, if the test wasn't the answer you were anticipating, you may want to reconsider what you are doing. If you've been trying to get pregnant, perhaps it is time to consider taking it to the next level with charting and other fertility awareness. If you have already been charting, it may be time to look at seeking the assistance of a fertility specialist. If you do not want to be pregnant, but were worried that you might be, now is the time to rethink your birth control method. The type of pregnancy test that you take is rarely the reason for an outcome that you don't agree with these days. Even the cheapest pregnancy test is capable of measuring very low quantities of hCG. That said, be sure that your pregnancy test wasn't expired, hadn't sat in the sun or was otherwise impacted. The most common cause of an erroneous pregnancy test is human error. This is most often testing at the wrong time. So go ahead and buy the bulk cheap tests off the Internet or at the dollar store! If you have medical questions about the test, for example, do medications affect tests, then you should check the medication package insert and/or talk to your doctor and pharmacist. If your pregnancy test gave you an unexpected result, check here for reasons why that might have happened. This quiz is not designed to replace a diagnosis by your doctor or midwife. Could You Be Having Implantation Bleeding or Something Else? Is it Possible to Be Pregnant and Have No Symptoms?